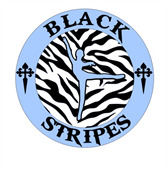 Welcome to Black Stripes! Please complete the following registration form. I/We agree to release and hold harmless Rivadulla Holdings LLC dba Black Stripes including its teachers, dancers, staff members and facilities used from any cause of action, claims or demands now and in the future. I/We will not hold Rivadulla Holdings LLC dba Black Stripes liable for any personal injury or any personal property damage, which may occur on the premises before, during or after classes. Furthermore, I/We agree to obey the class/facility rules and take full responsibility for my/our behavior in addition to any damage I/We may cause to the facility utilized by Rivadulla Holdings LLC dba Black Stripes. I/We understand that Rivadulla Holdings LLC dba Black Stripes is licensed and insured. In the event that I/We should observe any unsafe conduct or conditions before, during or after my/our classes, I/We agree to report the unsafe conduct or conditions to the front desk as soon as possible. I agree to grant to Rivadulla Holdings LLC dba Black Stripes and its authorized representatives permission to record on photography film and/or video, pictures of my/my child's participation. I further agree that any or all of the material photographed may be used, in any form, as part of any future publications, brochure, or other printed materials used to promote Rivadulla Holdings LLC dba Black Stripes, and further that such use shall be without payment of fees, royalties, special credit or other compensation. An annual registration fee of $35 per student is required upon registration to ensure placement. This fee is non-refundable. Tuition is due on the 1st of the month regardless of attendance and the number of classes in that specific month. Tuition not paid by the 7th of the month is subject to a late fee of $25. If tuition has not been paid by the 10th of the month your dancer will be unable to attend their class(es). All tuition and fee payments are non-refundable and non-transferable. We offer classes for kids ages 2 and older. All dancers will be evaluated by our skilled instructors for class placement. All classes will begin with a warm-up suitable for that genre. Please ensure that your dancer arrives on time to class. Students arriving more than 15 minutes late will not be able to participate in class. Staff, parents and dancers are required to be respectful and supportive of one another. Negative attitudes and disrespect will not be tolerated. We intend to create a positive atmosphere that the dancers can thrive in. We reserve the right to make necessary changes to classes with less than 5 students. Please inform the front desk if you need to withdraw your dancer from their class(es). The drop form must be completed and returned to the front desk at least 14 days prior to the start of the new month. You are responsible for all outstanding tuition, payments and fees until this form has been received by the front desk. We do not pro-rate or offer a credit for missed classes. Clothing requirements vary from class to class. For safety concerns dancers not properly dressed out will not be permitted to participate in class. Please refer to your dancer's class for specific requirements. Tumbling: Form fitting dance shorts/leggings, leotard or half top and hair pulled back in a pony tail or bun. Shoes are not required for this class, however; if your dancer needs the extra support certain shoes may be worn. Hip Hop: Loose fitting clothing and sneakers ONLY worn for dance. Please help us keep our floors clean by having a pair of shoes only worn for hip hop class! Combo Classes/Mini Movers: Form fitting dance shorts/leggings, leotard or half top, hair pulled back in pony tail or bun. Please have the required shoes for your dancer's class: ballet shoes for ballet, tap shoes for tap and jazz shoes for jazz. If your dancer is wearing tights please make sure they are convertible foot! We understand that it is common for parents/students to have instructors' phone numbers, email and/or social media. All comments, concerns, tardies and absences need to be done through the front desk. We understand that medical situations come up. In the case that your dancer has a medical condition that prevents them from dancing for 30 or more days you may request a credit to be issued with the following condition: letter from their doctor stating the medical condition and the number of days they are unable to dance has been provided to the front desk. Classes are closed to parents/guests. We have provided observation windows to keep distractions to a minimum. Spring Show Case at the end of season. More details to come. Dance is a physical activity and with that comes an inherent danger for injury. Our staff will train the dancers in the safest manner possible. Medical insurance IS NOT carried for our students. We require all of our dancers to be covered by their family's health insurance policy. This policy will be the only form of reimbursement. Please label all personal belongings with your dancer's name. All valuables should be left at home. The studio will not be held responsible for lost or stolen items. All dance bags should be left in the locker room provided. Please check our Lost and Found box for all missing items. No cell phones or smart watches are allowed in the class room. A charging station will be provided for cell phones and tablets in the homework area. I/We agree to release and hold harmless Rivadulla Holdings LLC dba Black Stripes including its teachers, instructors, and trainers from any cause of action, claims or demands now and in the future. I/We will not hold Rivadulla Holdings LLC dba Black Stripes liable for any personal injury or any personal property damage, which may occur on the premises where the online class is being taken, during or after class. I/We agree to follow guidelines set forth by Rivadulla Holdings LLC dba Black Stripes for each class in regards to the type of flooring and 'object-free' square footage required take each class safely and effectively on the premises where the online class is being taken. Furthermore, I/We agree to obey all class rules and take full responsibility for my/our behavior in any online class operated by Rivadulla Holdings LLC dba Black Stripes. I/We understand that Rivadulla Holdings LLC dba Black Stripes is licensed and insured. In the event that I/We should observe any unsafe conduct or conditions before, during or after my/our class, I/We agree to report the unsafe conduct or conditions to management as soon as possible. I agree to grant Rivadulla Holdings LLC dba Black Stripes and its authorized representatives permission to record on photography film and/or video, pictures of my/my child's participation. I further agree that any or all of the material photographed may be used, in any form, as part of any future publications, brochure, or other printed materials used to promote Rivadulla Holdings LLC dba Black Stripes, and further that such use shall be without payment of fees, royalties, special credit or other compensation. This one-time registration fee of $35 per student is required upon registration to ensure placement. This fee is non-refundable. Tuition is due on the 1st of the month regardless of attendance and the number of classes in that specific month. All tuition and fee payments are non-refundable and non-transferable. We offer classes for kids ages 10 and older with special exceptions allowed pending teacher evaluation. All dancers will be evaluated by our skilled instructors for class placement. We reserve the right to make necessary changes to classes. If you need to withdraw your student from their class(es) the drop form, which can be found on our website, must be completed and submitted at least 30 days prior to the start of the new month. You are responsible for all outstanding tuition, payments and fees until this form has been completed, submitted, and you receive the withdrawal confirmation email. We do not pro-rate or offer credit for missed classes. We understand that medical situations come up. In the case that your dancer has a medical condition that prevents them from dancing for 30 or more days you may request a credit to be issued with the following condition: a letter from their doctor stating the medical condition and the number of days they are unable to dance has been provided to the front desk. Classes are closed to parents/guests. Repeated violations of this policy will result in removal from the class without the option of tuition reimbursement. Dance is a physical activity and with that comes an inherent danger for injury. Our staff will train the dancers in the safest manner possible. Medical insurance IS NOT carried for our students. We require all our dancers to be covered by their family's health insurance policy. This policy will be the only form of reimbursement.